Developing new shopping centres are no longer a mere case of “build it and they will come”. When planning, designing and developing shopping centres and retail outlets, it is paramount to understand the needs and behaviour of potential shoppers, especially in an environment where many different brands and retailers are competing for the market share. Despite the Johannesburg Stock Exchange’s retail index showing a 15% decline over the past year, with most major retailers indicating that they would exercise caution in opening new stores, new shopping centres are opening across the country and attracting shoppers. In fact, H&M is planning to open another five stores in the country before the end of 2017. On an indexed basis since 2011, community centres is the top-performing segment with regards to sales/m², having cumulatively grown by 45% over the six years to March 2017. Super-regional centres, however, delivered a cumulative growth of 28% over the same period, but has been underperforming in this regard since Q1 of 2016. This suggests that consumers prefer the convenience offered by the smaller retail formats. Retail vacancy rates, while still low relative to office and industrial property, is above its long-term average of about 2,5%, but with the super-regional vacancy rate at its highest level since 2004 and two and a half times its long-term average of 1,6%. The two largest super-regional merchandise categories – apparel and department stores – have seen sales/m² decline significantly since Q4 2015 and while these two categories underpinned this segment’s growth between 2012 and 2015, it has dragged it down since then. Over the last three years, the department store category lost market share across all segments, while apparel and health and beauty gained market share. Food retailers increased their share of sales in community centres by 6,9%. This virtually mirrors the market share losses reported in the three larger retail segments, suggesting that community centre food retailers have been gaining market share at the expense of food retailers tenanting in larger centres. Overall, only the food category recorded positive sales/m² growth across all segments. The change in average store size since 2015 also had an influence. While the average super-regional department store is now 67% bigger than it was in 2015, the average turnover per store only increased by 41% during this time, resulting in annualised sales/m² declining by 13,8%. The same applies to the apparel category, which has seen store sizes increase by 22% since 2015, with only a 6,9% increase in sales to show for it. But while sales/m² slowed to 2,7% year on year to March 2017 on an aggregate level, the performance of individual centres continues to vary significantly as they are subject to different levels and quality of competition as well as different growth drivers and characteristics, which may play a role in their sensitivity to the economic growth and consumer spending cycles. Importantly, according to the report, over the long term, spend per head is the primary driver of retail sales growth, while the impact of foot count growth is secondary. The past two to three quarters saw shoppers spending more, but visiting malls less frequently than a year ago. Against the current background of high unemployment and slow economic growth, successful centres are the ones that can both attract shopper numbers and maximise their dwell time and spend. 1. Sight: Customers can mix and match Shinola watch straps and faces to get a style that works for them. The brand also partners with local artists and curators at stores to provide each store with its own look. 2. Sound: Since adding audio products such as vinyl turntables, a category bringing in 80% of new customers, each store gets a packet of vinyl every month that allows managers to curate playlists. 3. Touch: The feel of Shinola’s leather goods adds a tactile element to the store experience. 4. Taste: Several stores include coffee bars, and the brand has developed Shinola Cola. 5. Smell: Shinola candles create a unique scent, and some stores have included floral shop pop-ups. While there are overall brand guidelines, the design varies from store to store. Thanks to its success, Shinola plans to open an additional eight stores by the end of 2017. 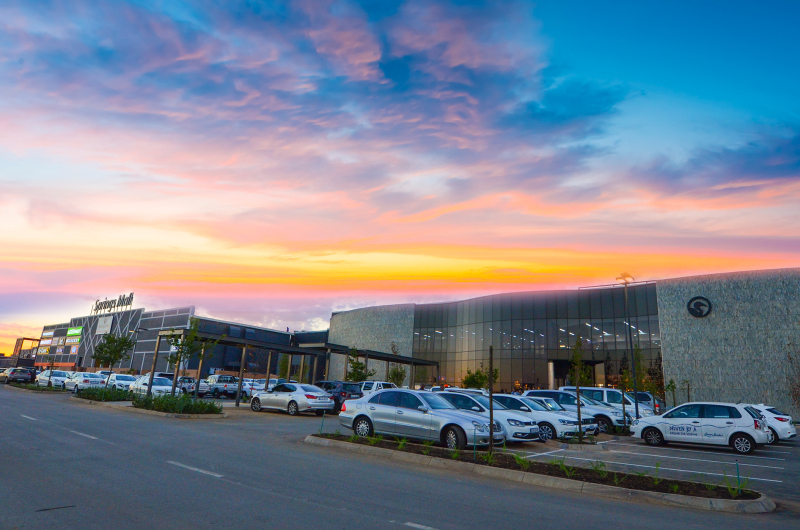 The Westfield Group’s strategy is highlighted by the South African Council of Shopping Centres (SACSC). The Westfield Group recognises the need for centres to be more than just shopping centres and rather operate as multi-functional venues. They create extraordinary entertainment destination centres in key locations. Two of Westfield’s key outcomes are experience for shoppers and excellent relationships with tenants. The third is using technology throughout the customer shopping journey. The company uses technology to help tenants better understand customers, offer utility and to create unique entertainment experiences. For example, Westfield’s personal robot, Pepper, can say “hallo” in six languages, take photos of customers using a built-in tablet, play games with patrons, play music, give shoppers the option to provide feedback and offer directions around the mall. The SACSC chief executive officer, Amanda Stops, points out that South African retailers and shopping centres have started embracing technology. “It is not a matter of technology or online stores replacing the physical counterparts, but rather how the two can complement each other in a harmonious way. The retailers and shopping centres of the future will be those who get the balance just right and who maximise technology and most importantly, understand the ever-changing needs of the customer,” she states. For example, dedicated charging stations for electric and hybrid vehicles, licence-plate recognition and an analytical parking app for mobile devices that will allow users to locate their vehicles, are among the many plans that formed part of the revamp of the Menlyn Park Shopping Centre in Pretoria. The centre further does head counts instead of foot counts, tagging an individual with a unique number to prevent double counting. According to Menlyn Park general manager, Olive Ndebele, most of the tenants also offer online shopping platforms for customers. Digital tools and technology are indeed a key factor in the omnichannel business environment of retail. In fact, research in the United Kingdom, where online shopping is disrupting physical retail space, has shown that brands that have better mobile adoption also have a bigger physical presence, because people trust what they see around them. The future is uncertain and no one can know for sure what retail will look like even a year from now. But what is certain, is that customer experience is key. It is all about prioritising the customer with every touch point with a brand, creating a favourable shopping experience and making it easy to purchase, whether the final step is in a brick or mortar store, or online. 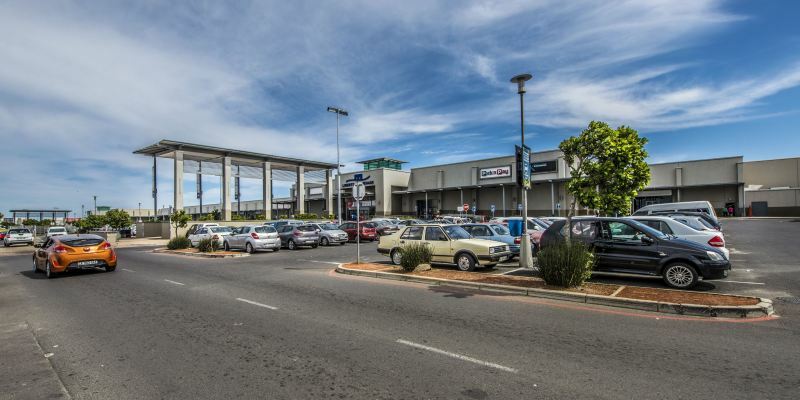 Acknowledgment is given to the South African Property Owners Association’s Retail Trends Report, the 2017 Retail Innovation Conference Report by Retail TouchPoints and the South African Council of Shopping Centres, https://sacsc.co.za/, which served as sources for this article. Caption main image: Part of the phased Westgate Master Development Plan, the Westgate Shopping Centre will soon house brand new dining options in a modern food court setting and thrilling entertainment with the introduction of state-of-the-art Nu Metro cinemas and an action-packed games arcade in March 2018. 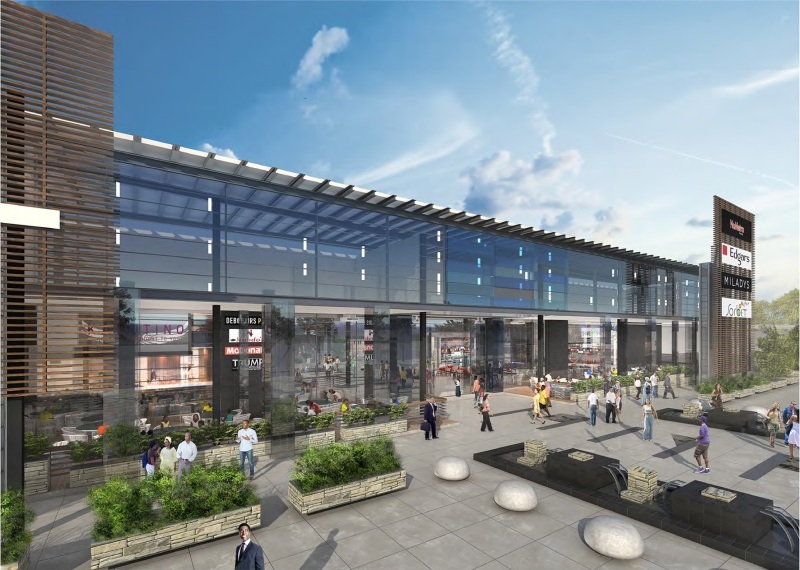 The redesigned, high and fully retractable shopfronts, coupled with the new skylight and the fully glazed new entrance facade, will offer shoppers and diners alike a fresh and elevated dining experience. The skylight will create the feeling of open space dappled in natural light. In addition, the central part of the mall will also feature a dedicated external seating area to offer semi-open dining space for restaurant patrons. What’s more, the food court will for the first time ever have a communal seating area, which will make it possible for families and friends to buy food from outlets of their choice and sit together to enjoy their meal.